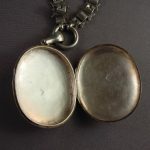 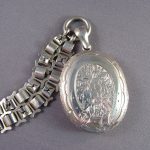 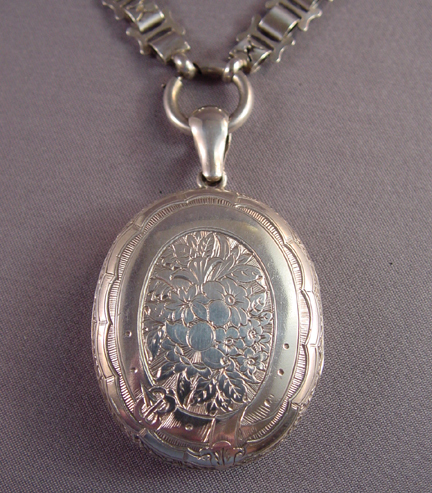 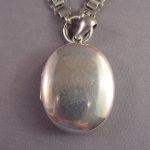 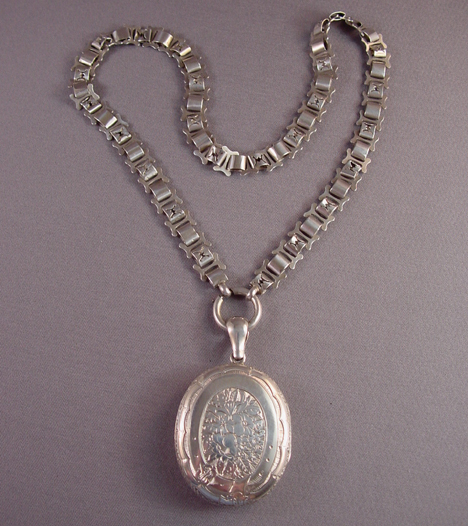 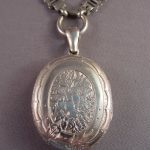 VICTORIAN antique sterling silver locket and collar with the locket design a garter or belt and buckle surrounding fruit and flowers on the front and a plain back. 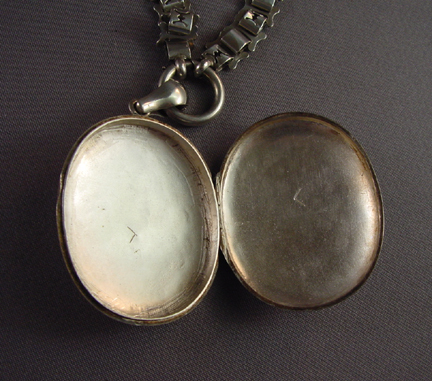 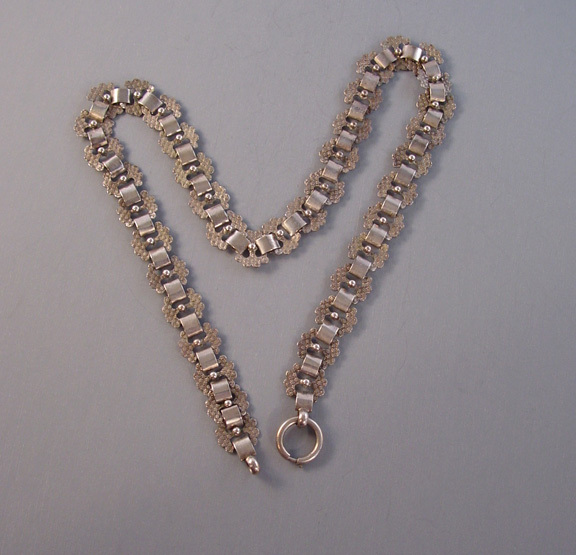 The collar has a pierced x's design, and both are circa 1880s. 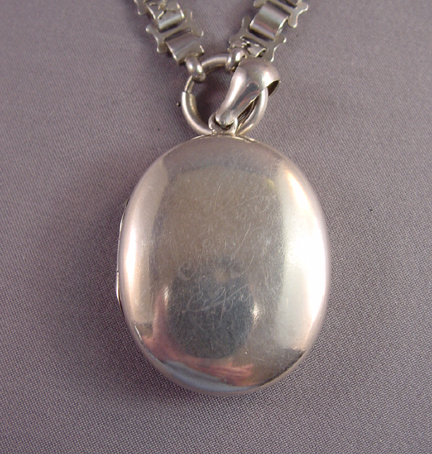 The collar is 16" and 1/3" wide.